Thank you for registering to attend the 2017 Literacy Retreat! Your information has been received by our staff and you should recieve a confirmation email soon. If you have questions, please don't hesitate to call our office toll free: 1-888-376-0448. We'll see you in June! The 2017 Smekens Literacy Retreat is a professional “getaway” for teachers…a time to rethink and recharge…a chance to learn best practice literacy strategies that can be applied right away. 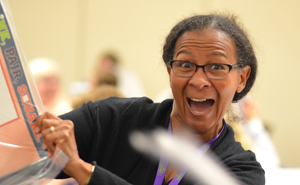 During six powerful sessions over two days attendees will acquire both the tools and the motivation to address some of today's most pressing K-12 literacy challenges. Students at every level need explicit, ongoing instruction that builds their comprehension skills. This type of standards-driven teaching is intended to equip students with the ability to analyze and understand all types of texts. In this session, you’ll learn to layer skills to develop readers who can track and summarize key details, visualize and question author craft, and connect and synthesize bigger ideas. Understand the six core comprehension strategies and their sub-skills that readers must employ. Build a scaffold of whole-class mini-lessons to deepen comprehension skills. Learn how to blend explicit instruction and close-reading experiences into your yearlong curriculum. While educators have historically taught reading using paper, today’s students are encountering more and more digital media on tests. We need to acknowledge that these two mediums are different and require varied instruction. This session will identify skills to support students on standardized reading assessments, everyday classroom reading, and the real-world reading they will do on screens for years to come. Acknowledge the paper-based reading strategies that don’t transfer to digital reading scenarios. Combat the comprehension breakdown associated with reading digital text. Overcome online distractions and push beyond surface skimming. Strong writing requires logical organization. While it’s tempting to achieve this with formulas and recipes, such tools typically produce repetitive and robotic writing. The secret lies in providing students with scaffolded support through writing frames. Well-executed frames produce unique and individual writing that also contains logical organization. Expect more than an introduction, body, and conclusion; teach how to organize ideas in the middle. Identify common frames and how to adapt them for various topics or genres. Model how to flesh out ideas and connect them within a frame. One of the major shifts reflected in today’s standards has been the integration of more complex functional vocabulary. These more challenging words used within directions, questions, and prompts require that classroom instruction focus on more than just the content and concepts of each subject. Teachers must also decode the sophisticated discourse that appears in the after-reading tasks. Teach students to understand the expectations of the task. Identify functional words to be taught among the grade levels. Identify ways to incorporate this more sophisticated teacher talk into daily classroom routines. All grade levels should challenge students with age-appropriate topics that require them to take a stand based on evidence. This session will dissect the standards for the six elements of argumentative thinking and reveal strategies to develop students’ abilities from taking a position based on opinion to sharing an argument that is rooted in textual evidence. Learn strategies for organizing your opinion, persuasive, and argumentative units to address the essential writing ingredients. Receive a scaffold of lessons that move students from all-about-me opinion writing to passionate persuasive writing to logical argumentative writing. Learn how to apply argumentative thinking when reading picture books, videos, cross-curriculum topics, informational texts, and more. Utilizing tangible “triggers” to teach abstract literacy concepts is an effective instructional strategy that also builds engagement during whole-class mini-lessons. However, triggers aren’t to be added simply to make learning more fun. By following specific steps, teachers can incorporate tangible objects to increase student learning and the transfer of essential reading and writing skills. Learn the process for developing strong analogies between literacy skills and everyday objects. Participate in the generating of grade-appropriate triggers for various literacy skills. Identify when and how a trigger should be referenced within the mini-lesson to best support student learning and skill transfer. 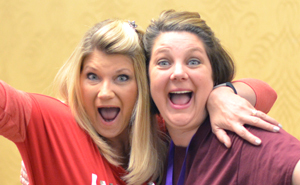 Why attend the Literacy Retreat? It's Practical: This is no pie-in-the-sky, theory workshop. The Retreat offers down-to-earth, practical strategies that can be applied right away. It's Relevant: Teachers will walk away with a clearer understanding of today's literacy standards and strategies to achieve those requirements in the classroom. 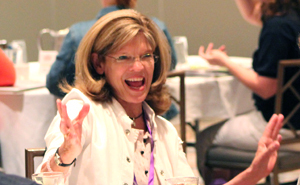 It's Applicable: Retreat topics apply to teachers from kindergarten through high school. Each session includes skills, strategies, and examples from a broad range of grade levels. 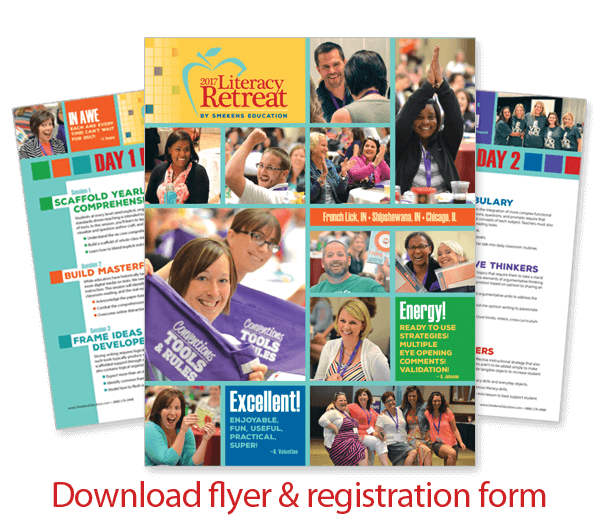 It's Inspiring: The Literacy Retreat inspires teachers and provides them with the tools and confidence to implement new ideas within their own classroom instruction. Over the course of two days, attendees collect brand new strategies for teaching reading and writing during six distinct sessions. Each day will include a continental breakfast and a lunch buffet. This year's Literacy Retreat will be offered at three unique venues, perfectly suited to provide a balance of learning, relaxation, and fun. 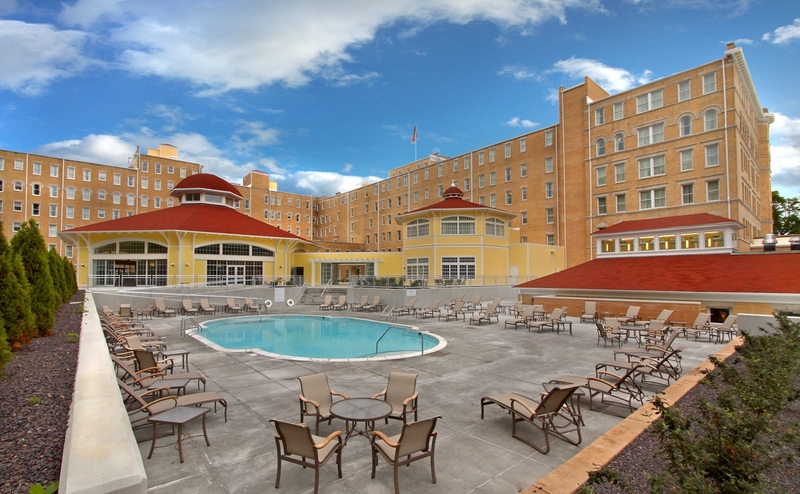 Established in the mid 1800s, French Lick Springs Hotel attracted guests from around the world to experience the "miracle waters" of its nearby sulfur springs. Now this classic hotel and its beautiful gardens have been restored to their famed charm and grandeur. Each guest room includes cable TV, free wireless Internect, in-room coffee, a hair dryer, iron and ironing board. Guests can choose from 6 different on-site dining venues ranging in style from upscale to burgers. Whether you want to spend your free time relaxing or participating in activities, the hotel has something for everyone, including a fitness center, bowling alley, spa, indoor and outdoor pools, gift shops, golf courses, historic tours, riding stables, and a 24-hour casino. All reservations must be made by calling the Resort directly at (888) 936-9360 and using the group code 0617SEL. When making reservations by phone, mention Smekens Education Solutions, Inc. at the time of the reservation to receive the special group rate. Or access the Resort's online reservation link for Smekens Education. When making reservations online, use the group code 0617SEL. To secure discount room rates, reservations must be made at least 30 days in advance. Located in the heart of Indiana's Amish country, the Shipshewana Event Center is also at the heart of over 150 retail shops. The small town of Shipshewana attracts half a million visitors a year and is home to one of the largest flea markets in the country. 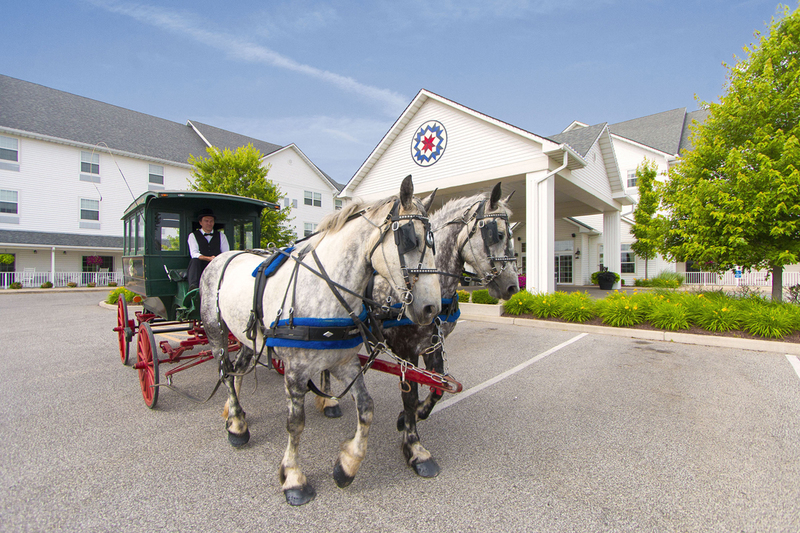 Lodging at the Blue Gate Garden Inn, located right next door to the Shipshewana Event Center, includes all the amenities you'd expect, along with old-fashioned Amish country charm. All overnight guests may choose to enjoy the indoor pool and hot tub, fitness center, arcade, basketball court, and outdoor patio and fire pit. The Inn features an expansive breakfast buffet that includes a made-to-order omelet option. In the evening, guests can find a sweet treat at The Ice Creamery located in the lobby. Each room includes a television, coffee maker, microwave, refrigerator, iron and ironing board, hairdryer, full length mirrors, and free wireless Internet. To secure discount room rates, reservations must be made at least 30 days in advance. Home to one of the area's premier theatres, the Drury Lane Conference Center is conveniently located in Chicago's western suburbs, just minutes away from O'Hare International and Midway airports. 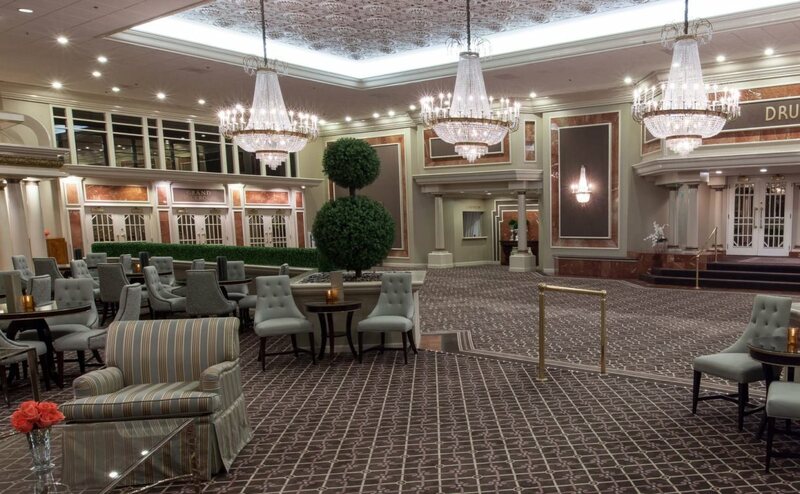 The conference hotel, the Hilton Suites, is just a few steps from the Drury Lane Conference Center. The hotel offeres comfortable and spacious two-room suite accomodations with a private bedroom and a separate living area. The living area includes a 32-inch TV, sofa bed, and a large work desk, as well as a wet bar with a microwave and refrigerator. The private bedroom includes one king-sized bed or two queen-sized beds and a 37-inch TV. Call Hilton Chicago/Oak Brook Suites to make reservations. Mention Smekens Education to receive a room discount. Or make reservations online to secure the discounted rate. Reservations must be made at least 30 days in advance. Retreat attendees will receive a certificate of participation at the conclusion of the event and may utilize it to demonstrate participation in 11 hours of professional development (in Indiana, 11 PGPs). More information about how this workshop fulfills your state’s unique continuing education requirements can be found on our continuing education page. ILLINOIS CONTINUING EDUCATION CREDIT AVAILABLE! Thanks to a partnership with the Regional Office of Education #19, all Illinois teachers attending our June 20-21 session in Chicago are eligible to earn state-approved continuing education credit for 11 hours of training. Smekens Education is an approved subcontractor for ROE #19. Attendance at the Retreat, plus additional coursework related to the Retreat, is required for credit. MTI has an exclusive agreement with Calumet College of St. Joseph (Whiting, IN) to provide teachers with an official transcript for completing course MTI 508. Calumet College is nationally accredited by NCA, NCATE, and CAEP.